Keep it cutting edge and casual with the effortless look of the rag & bone™ Arc Flat Slide. Genuine leather upper in a variety of fierce patterns and classic colors. Slip-on style with cut-out straps and adjustable buckle hardware closure. 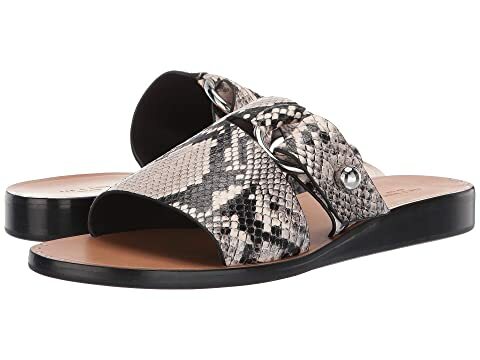 We can't currently find any similar items for the Arc Flat Slide by rag & bone. Sorry!